LevelOne iCamSecure is a totally free app that enables you to monitor remotely live video camera through LevelOne IP CamSecure Surveillance Pro Mega Systems. Easily view multiple cameras via 3G or Wi-Fi. Snapshots, touch screen P/T/Z control and I/O device management are also supported. 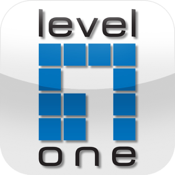 Note: This App doesn’t work directly with LevelOne cameras but through the supportive surveillance management systems. LevelOne IP CamSecure Pro Mega (4/8/16/25/36/64-CH) surveillance management systems.